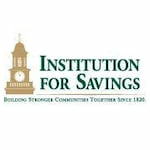 Institution for Savings was established on January 31, 1820, that charter was granted. Opening deposits totaling $465.10 were collected on the first day. Today, they offer a comprehensive range of products and services, including checking and savings, commercial loans, business services, mortgages, investments, insurance, as well as online and mobile banking technologies. The Institution for Savings is widely recognized as one of the oldest and most stable mutual banks in the country, with assets totaling approximately $3.47 Billion as of December 31, 2018. It is also the largest mutual savings bank in the greater Newburyport region and the third largest on the North Shore. 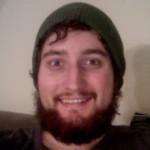 I have been banking at Institution For Savings the last two years and have loved it. When I first set up my accounts it took all of ten seconds to be noticed when walking through the door. I was immediately helped and set up both my savings and checking accounts at once. It took all of 25 minutes to do, and they were both set up with starter checks in hand. Within 5 days my checks and debit card arrived by mail. I even received a follow up call to see if I needed any help or had any questions!